As I write this, Todd and the two youngest are outside working on the chicken coop. Kayla is inside the coop grinding off the nails and screws that are sticking out. I'm not sure how I feel about that, but I am thankful she at least has safety glasses on. I will be leaving my cozy spot in front of my computer and heading out to help them paint, but before I do, I wanted to share what projects we're working on now. 2 YEAR OLD DAUGHTER INTERRUPTION, followed by another, and another, and another.............I am off to stain the coop! Okay, I'm back and the detachable chicken run/tractor is as stained as it's gonna get. I love how in order to get the stain on the boards at the bottom, you have to run your brush along the dirt on the ground. I save those boards for last. 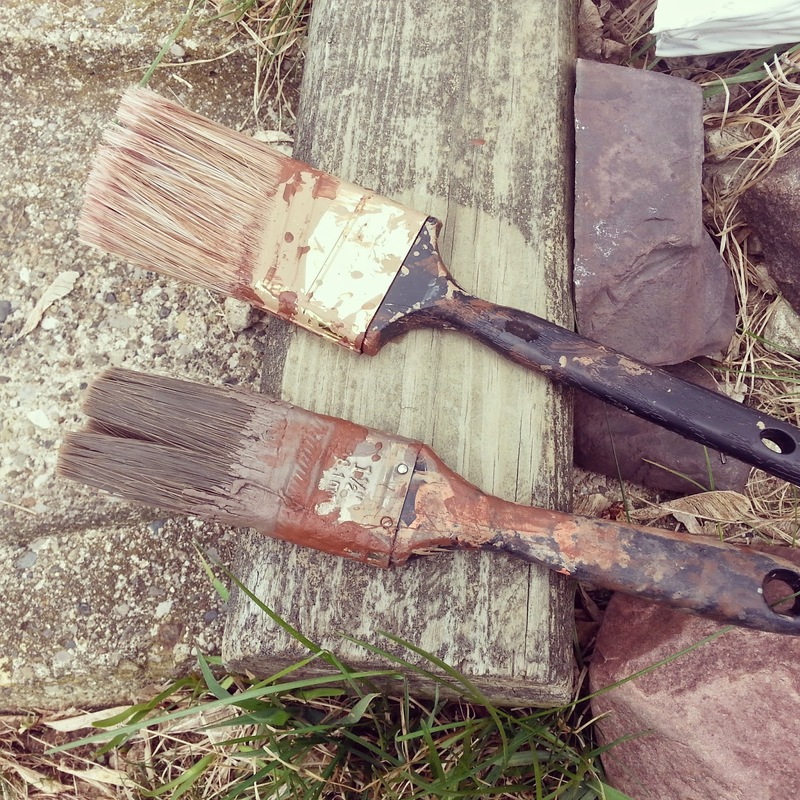 Kayla doesn't though, and most of the boards she painted have dirt and rocks stuck to them now forever. The run is ready for the wire mesh. 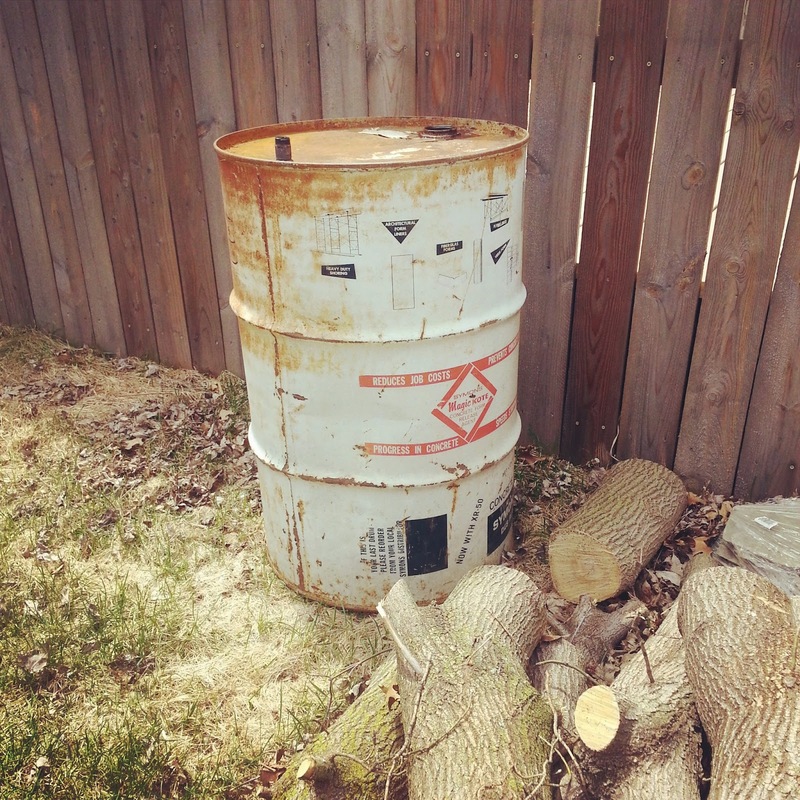 Yesterday, we dropped off our old computers, printers and monitors at a local junkyard for recycling and picked up this "beauty" of a burn barrel. Todd will be turning this barrel into a wood-burning pool heater. I am super excited that our pool will be warm enough this year for us to comfortably swim in. It is heavily shaded by our backyard trees and barely any sun hits it for the solar cover to work. He ordered this barrel stove kit from Amazon and it will be here around the first week of June. After we found our barrel, we purchased six fruit bushes from our local TSC. The bushes were cheaper than what we found online or at Home Depot. 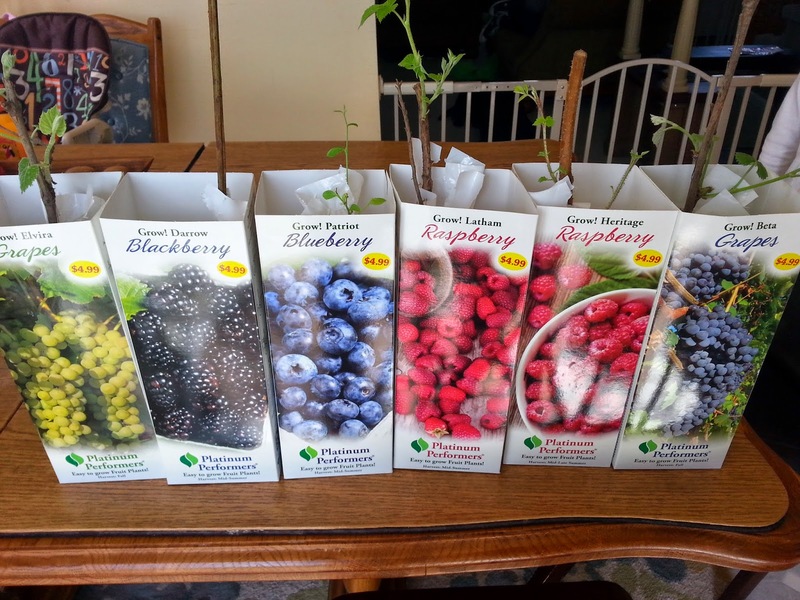 Since Michigan is still pretty cold, we are a bit apprehensive to plant them now. So they sit in our south-facing window soaking up the sun next to our seedlings. 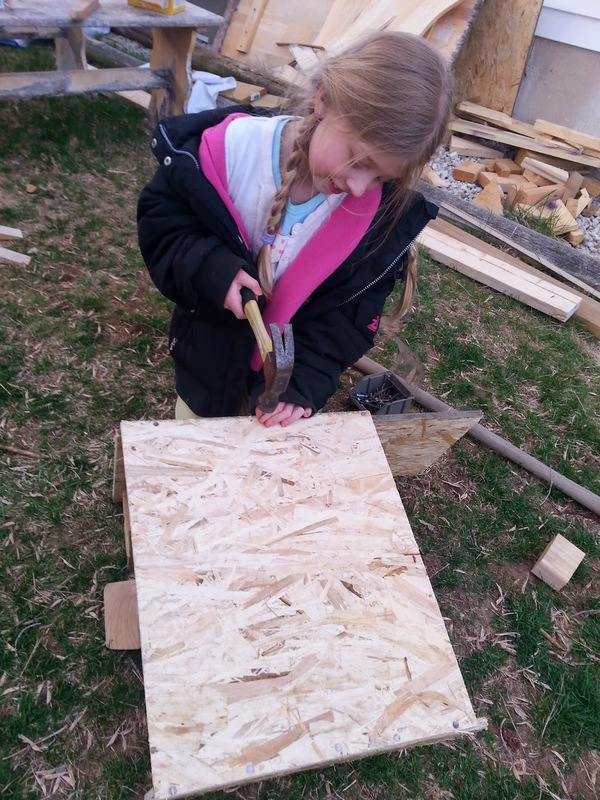 Kayla was also busy yesterday building a little roost for the chickens for their brooder box. They loved it! 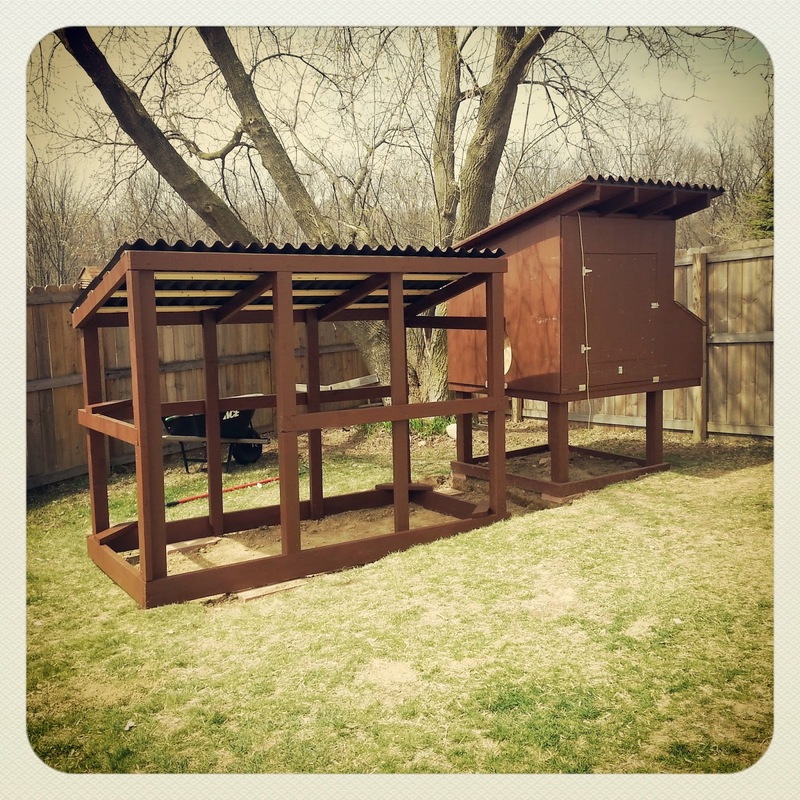 I'll post pictures in my next weekly update on the chickens. They are still doing great!